Home > Ovaries & Womb > What is Ovulation? Being something that occurs in millions of women around the world it could be assumed that the concept of ovulation would be fully understood by women but it is not. Ovulation refers to the process of the egg being released form the ovary.When a baby girl is born she has between a quarter and half a million eggs contained in her ovaries. During puberty these eggs become ready to be released which occurs during the female cycle. During the cycle oestrogen levels become raised which initiates the release of Follicle Stimulating Hormone (FSH) which triggers the release of an egg. This egg is caught by the fimbrial end of your fallopian tube and passed down through the tube ready to be fertilised by sperm. If the egg is not fertilised it passes through the system and is released out of the body. If it is fertilised it attaches itself to the inner wall of the uterus and develops into an embryo and then a foetus. If a fertilised egg attaches itself inside the fallopian tube, this can result in a life-threatening ectopic pregnancy which cannot progress.Many women have stated that they know exactly when the egg is being released as they can feel localised pain or feel is tiny 'pop' though there is no evidence that these are genuine findings. Roughly around fourteen days into the normal female cycle (though this varies from woman to woman) an egg is released from the ovary. Each month releases an egg from alternate ovaries. The average cycle lasts for 28 days but this can vary from as little as 21 days to over 35 days.For those actively trying to conceive there are ovulation predictor kits available in chemists and supermarkets that pinpoint when you are about to release an egg and when you are at your most fertile and likely to conceive.During ovulation the vaginal secretions can become thicker and creamier which is a good sign that your are about to release an egg. 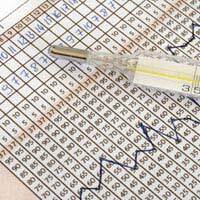 Ovulation can be prevented in a number of ways. Obviously the most permanent way would be to removed the ovaries but doctors will not offer his procedure unless there is evidence of damage to the organs in the pelvis. This is because the ovaries also secrete hormone that are important in maintaining health in the female body. Ovulation can be prevented by the absorption of hormones such as progesterone. Progesterone based compounds are found in all of the contraceptive pills in varying strengths and also in the coil, vaginal ring or other forms of contraception that are impregnated with hormones. Women who are undergoing fertility treatments will often be given drugs to help stimulate their ovaries into preparing more eggs ready for release. The ovaries may prepare over thirty eggs which are released from tiny compartments called follicles. These eggs can be collected by the fertility team and fertilised in the laboratory before the fertilised egg is re-introduced into the uterus.